This is a short general fiction novel. 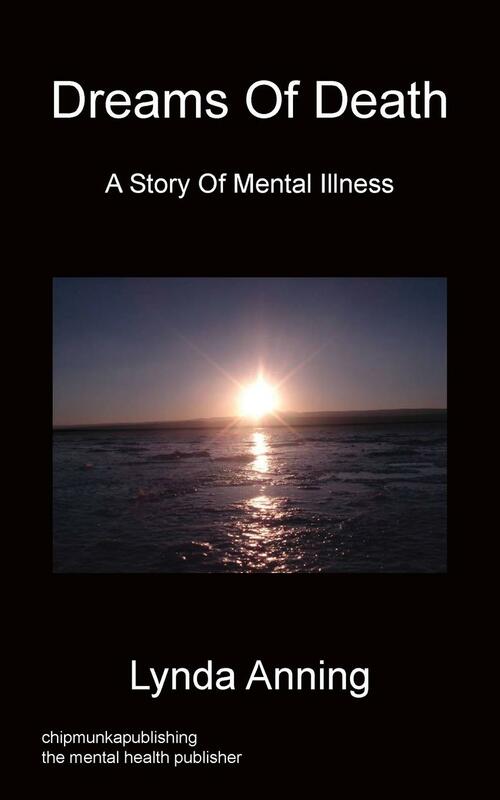 It draws on my own experiences of mental illness and the mental health system and the experiences of people I have met. Names of characters and locations are fictional. When Neil loses everything he values most in life he has a mental breakdown that precipitates a journey through mental illness and the mental health system. Elizabeth is an outgoing, independent career woman who finds herself confined to her home and isolated by agoraphobia. Lyndsay is a schoolgirl mother who ends up teetering on the brink of anorexia. And Katharine is a single parent student struggling with depression. Will any of them manage to regain a better quality of life? Lynda Anning was born in Leith, near Edinburgh, Scotland in 1961; one of twin girls born to Maureen a twenty-two year old single mother. Lynda lived with her mother for a while but Maureen couldn’t cope and the twins were fostered in Scotland and then sent to a Baptist Children’s Home in Birchington, Kent. When they were three and a half years old they were adopted by a couple who lived in Essex. Lynda experienced auditory hallucinations, trances and sleep problems as far back as she can remember. She was desperately unhappy throughout childhood and made her first suicide attempts at the age of six; trying to suffocate herself first with pillows and then with plastic bags. She told no-one. She did well at primary school and passed the eleven plus and went to Grammar School. However, she struggled with depression, memory problems and social anxiety and was miserable at secondary school. 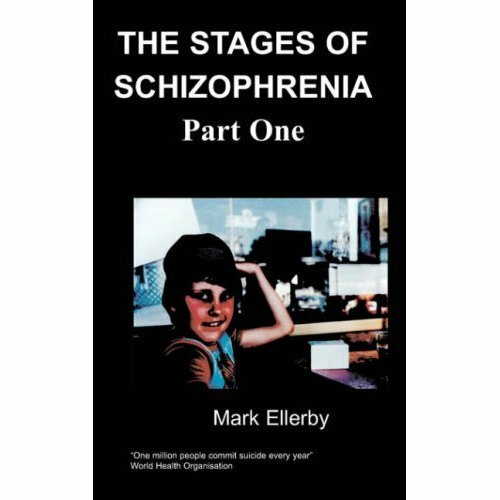 When she was fourteen her adoptive father died of cancer and later that year she was referred to a child psychiatrist at a child guidance clinic because she was stealing and underachieving at school. The psychiatrist diagnosed her with depression and she was offered appointments with a child psychotherapist which she turned down. When she was fifteen sheI took an overdose of oxazepam. She was admitted to a general hospital and was unconscious for twenty-four hours before being sent home. Subsequently she wrote to the child psychiatrist begging to be found somewhere to live away from home. A social worker from the child guidance clinic came to see her at home with the offer that she could go into an adolescent unit. She went to look round the unit and moved in the next day. It turned out to be a disturbed children’s unit with children aged from three to sixteen years. It was supposed to be a six week assessment unit but most children had been there longer. One boy who was sixteen had been there since he was five when it was a unit for mentally handicapped children. Lynda stayed there for fifteen months. While she was at the unit she had appointments with the psychotherapist for fifteen months. Lynda left school at sixteen with four O-levels and after a few months got a temporary full-time job as a sales assistant. She moved into a bed-sit and when she was seventeen had her son. When she was nineteen she went to college to take A-levels in English Literature and Psychology. She applied to universities and was given an unconditional offer by a university in the Midlands. She ended up getting a D grade in English Literature and failing Psychology but moved to the midlands to study for a BSc. Hons.in Education and Psychology. She was on anti-depressants or anxiolytics most of the time that she was at university and had to withdraw from the course after two years because of her health problems. She then worked part-time as a children’s nanny for three years and took an Open University course in Personality, Development and Learning. At the age of thirty she had a complete mental breakdown and was admitted as an emergency to a mental health unit as a voluntary patient. She was there for a month and was prescribed Prozac. She was referred to a Community Psychiatric Nurse a few months after being discharged from hospital and he arranged for her to be prescribed an anti-psychotic. After two years of being unable to do anything she did a part-time creative writing course to alleviate the boredom. Over the next few years she went on to do part-time voluntary work with a local MIND association, as a volunteer assistant youth worker with the education service and as a volunteer doing administration for a mental health inpatient advocacy service. During this time she had art therapy for several years. She also participated in user-involvement in the planning and development of mental health services for three years. She gave up doing voluntary work and participating in user-involvement because she grew frustrated with them and because of the difficulty of attending reliably due to her sleep disorder. However, she continued writing. She has written short stories but Dreams of Death is her first novel. Lynda wrote this novel for several reasons. She is not confident about talking, and writing enabled her to express some things about her own experience of mental illness and the mental health system and the experiences of other people she knew. She wanted to produce something that was more realistic and a counterbalance to the ‘psycho on the loose’ type of material prevalent in the media and entertainment; and she wanted to write something that would raise awareness and insight into mental illness and the mental health system in an accessible and entertaining way. In about 2000 her GP stopped her anti-psychotic medication and a year later suffering from delusions she took an overdose of paracetamol that led to her being admitted to a specialist liver unit and then spending two months in a mental health unit. Lynda has not been in hospital since. Over the years she was in the mental health system she experienced most types of mental health services but has given up on these and continues just on medication from her GP. She remains unable to work in mainstream employment because of her sleep disorder and mental health problems but she continues to write when she has the motivation and concentration. She has already started writing a childhood memoir and aims to continue writing for as long as possible. At last Elizabeth Lingwood’s doorbell rang and she let her father in. This was their ritual ever since she had left University. He would come to her for his Saturday evening dinner and they would talk over the week’s events. They both had busy, independent lives. He was retired now but had spent his working life as a general practitioner. Now he occupied his time in other ways. He was Chairman of the Rotary Club and a keen fisherman. Until a couple of years ago he had travelled regularly to the Lake District or to Scotland for the salmon fishing. These days the damp exacerbated his arthritis and he only fished in warm summer weather, but he still followed angling on the television and in specialist magazines. For her own part being Deputy Headmistress kept her occupied. Outside of school hours there were the lessons to prepare, the marking, the paperwork, staff meetings, parents meetings and the supervision of extra-curricular activities. On top of that she had her church interests. She also directed plays with the local amateur theatre group and she went to exhibitions, theatre, cinema and concerts. In the summer holidays she travelled, sometimes alone but often with Joan Hasler the Headmistress who had been her staunch friend ever since she had joined the school, straight out of teacher-training college nearly twenty years ago. It was the same school she had attended as a girl. On the pale pink walls of her living room, hung picture frames showing montages she had made of postcards and photos from her travels to countries round the world. She had been on painting holidays in France, toured Germany and Italy, cycled through Holland, cruised the Norwegian fjords, back-packed in Australia, tried camel riding in Egypt, gone white-water rafting in Canada, the list could go on. In some of the older photos she was with a boyfriend but there had been no man in her life for a long time now. She suspected she was too self-reliant and strong-minded for most men. She’d had her passions over the years, known a few good, intelligent men whom she had loved and respected. She had relished those relationships – the blissful, the exquisite, the challenging, and she loved a challenge, the arousing, the sweet, all of them had been worth a place in her heart, it was just that none of them were meant to last a lifetime. And now, well now she was thirty something when the something meant almost forty. She had stopped weighing herself when the scales had shown thirteen stone, and she had gone up at least two dress sizes since then. In addition she found herself sprouting facial hair and burgeoning moles at a disconcerting rate. She had resigned herself without any great regret to spinsterhood and if a man did come along now, well she wasn’t quite sure where she would fit him in. She had a well-paid career and plenty of freedom. She was active and fulfilled. Most days she woke up feeling excited, went through the day feeling stimulated, and ended the day feeling rewarded. She was very happy for life to continue exactly as it was. She thought it would be self-indulgent to hanker for more.